Saba Fatima, Shehmin Awan and Evren Senol. “People need to understand that the real face of Islam is the face you see in front of you right now,” said Shehmin Awan. “It is us three people. It’s the billions of people who are practicing peacefully. It is not the face of ISIL or ISIS or whatever you want to call it. It’s not the face of a terrorist. 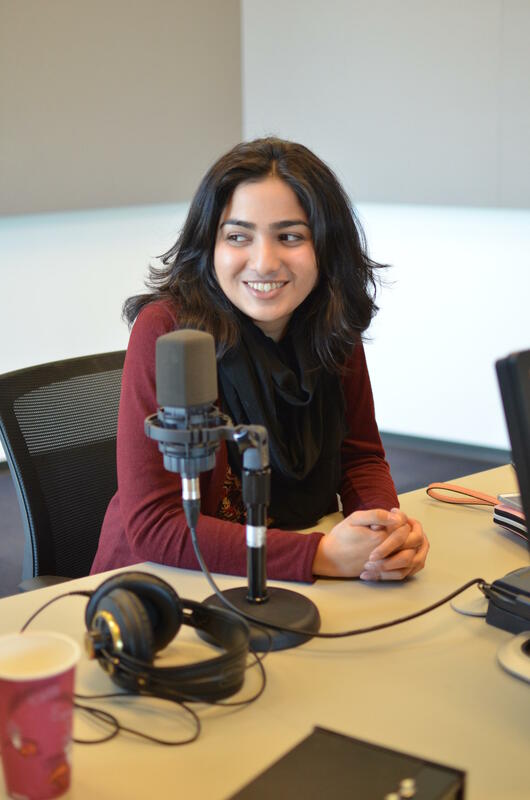 Awan joined two other St. Louisans to discuss their experiences with Islam, Islamophobia and how they confront it on Wednesday’s “St. Louis on the Air” with host Don Marsh. 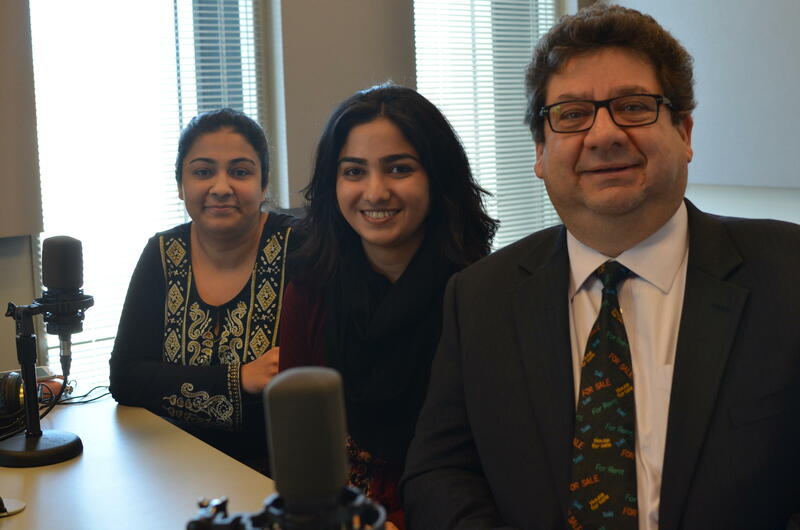 She was joined by Evren Senol, a real estate agent and a native of Cyprus who was raised as a Muslim but now attends a Presbyterian Church, and Saba Fatima, an assistant professor of philosophy at Southern Illinois University Edwardsville, who was raised in Saudi Arabia and Pakistan. Evren Senol, Shehmin Awan and Saba Fatima discuss the state of Islamophobia today, in the United States and here in St. Louis, with "St. Louis on the Air" host Don Marsh. Last month, the executive director of the St. Louis chapter of the Council on American-Islamic Relations, Faizan Syed, said that he received a call threatening his organization in the wake of the San Bernadino shooting. Also in December, Mohammed Baban, a former Iraqi refugee, said he and a group of friends were accosted by a man screaming profanities at them outside their mosque in south St. Louis. Recently, the California-based Center for the Study of Hate and Extremism released data that shows the rate of suspected hate crimes against Muslims in the United States has tripled since the attacks in Paris in November, with 38 attacks, as reported by news media and civil rights groups. This uptick in hate crime has included assaults on those wearing a hijab, mosque vandalism and death threats made against Muslim-owned businesses. Donald Trump’s December proposal to completely shut down the entry of Muslims to the U.S. is only adding fuel to the fire, as Americans worry over admitting refugees to the United States and the looming threat of ISIS. At the same time, misconceptions over what Islam actually preaches seem to be running rampant. Awan said that, for her, media plays a larger part in creating Islamophobia by conflating what a terrorist is and what a Muslim person is. “What a true Muslim is, is being confused with a terrorist who is not really practicing Islam but is pushing political causes in the name of a religion,” said Awan. “If you really get to know the people and you understand that people of Islamic faith are just as friendly, just as religious but just as humanitarian but looking for understanding and peace in the world, their view will change,” Senol said. Presidential candidate Donald Trump has made statements condemning Muslims and saying they should be kept out of America, alongside other derogatory statements about other minorities in the U.S. Senol, Awan and Fatima said his statements have had an impact on their everyday conversations. Awan used the example of the Muslim woman wearing a hijab who was kicked out of a Trump political rally last week. “That’s seen as a violation of the rights they’ve worked so hard to attain,” Awan said. Fatima said she is less worried about Trump, believing him to be the product of an American democracy that values money over constituents’ needs, but that she is more afraid of the people who follow him. "Trump has normalized saying hateful things about minority communities, be it Muslims, blacks, Hispanics." That’s where the difficult conversation lies, said Senol, who goes to meetings around St. Louis and hears people commenting on Donald Trump, not necessarily against Islam, but against minority cultures in general. “The difficulty is getting masses to really open their minds to understanding differences in cultures and accepting those differences,” Senol said. Trump is not alone, said Fatima, he is part of the larger Republican party, which has other candidates saying derogatory things about Islam —Ben Carson and Ted Cruz among them. Awan said she first experienced Islamophobia when she was six years old. That was when 9/11 occurred, three hours away from her family’s home in Albany, New York. Senol said that his son and daughter both worry about what their fellow students say at school today. Joe Milburn, a senior at Saint Louis University and convert to Islam, said that he lost friends after he converted to the religion and it has made him feel isolated. "As an American Muslim I have a special responsibility to not act in such a way that would harm the image of Muslims because to many I am the only Muslim they know." Fatima said that is the responsibility of those who are not subject to hateful speech to engage in conversations with their friends and families making their stance in support of Muslims clear. How can you learn more about the realities of Islam? One email “St. 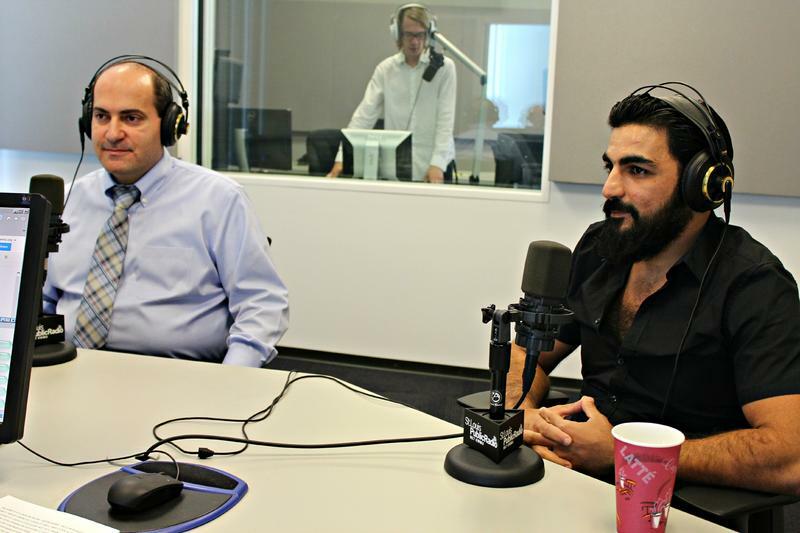 Louis on the Air” received during the show asked how non-Muslims can learn about the religion in a non-evangelical way. 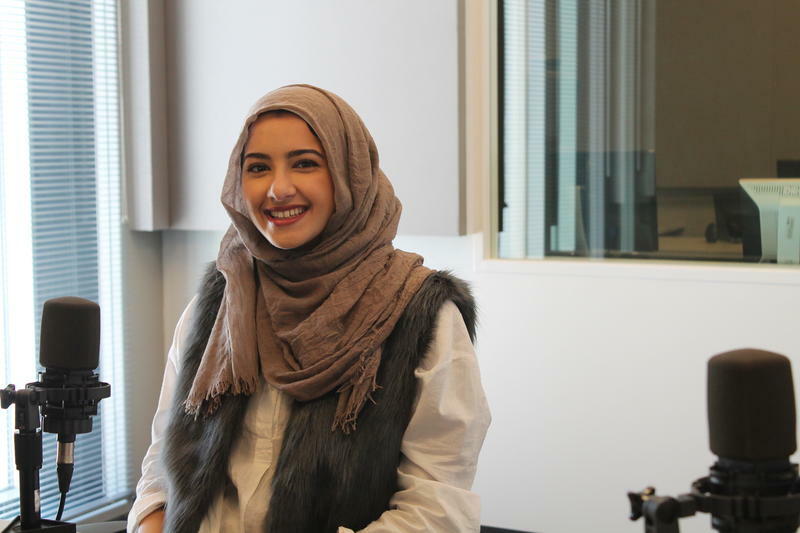 Awan and Fatima said that Muslim Student Associations at universities, and the events they hold are a great way to understand the religion without partaking in it. In fact, Awan hosts a “Hijab Awareness Day” ever year at Maryville that allows non-Muslims to try a hijab on for the day to see what it feels like to walk as a Muslim woman for the day. Other similar events at campuses across the region help aid that discussion. 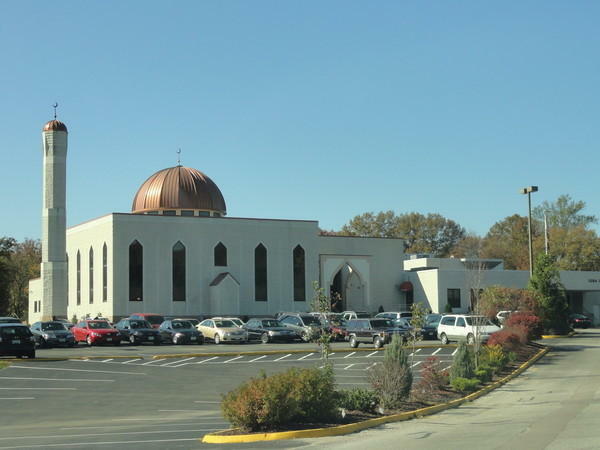 Awan also added that local mosques, such as Daar-ul-Islam mosque on Weidman Rd. or Dar al-Jalal mosque on Dunn Rd, put on events for non-Muslims all the time with the intent of education, not conversion. She mentioned that past events include “Meet Your Muslim Neighbor” and a fast-breaking feast during Ramadan. 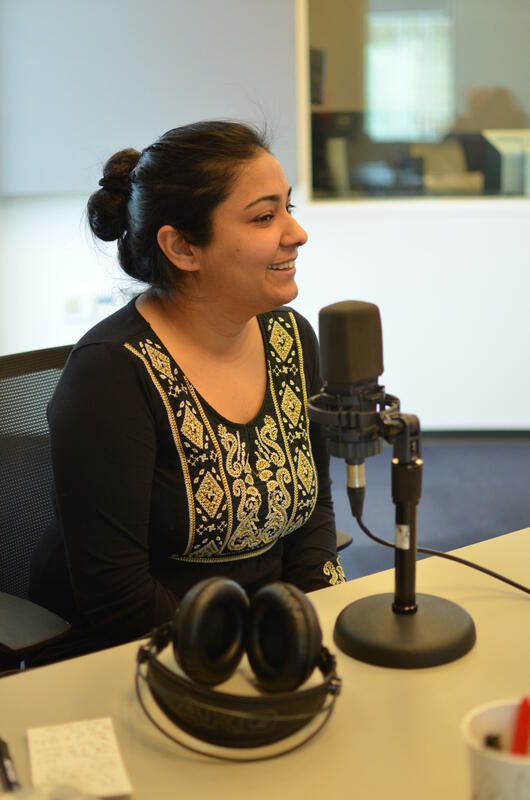 St. Louis on the Air brings you the stories of St. Louis and the people who live, work and create in our region. 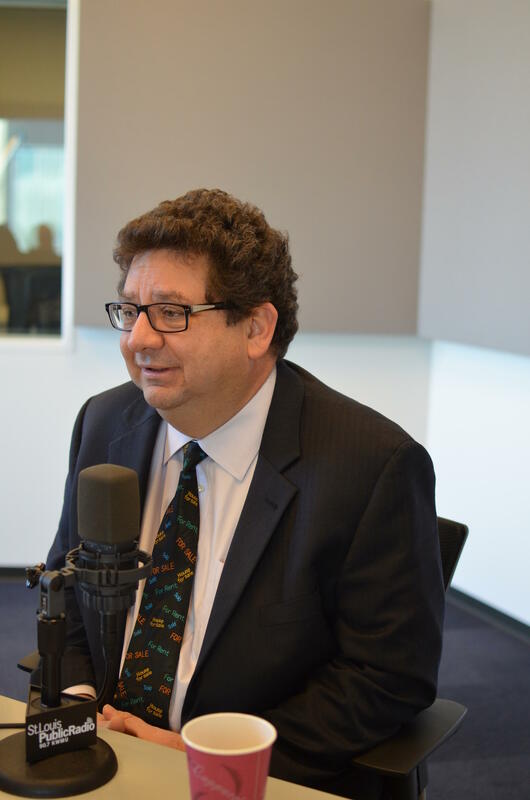 St. Louis on the Air host Don Marsh, and producers Mary Edwards, Alex Heuer and Kelly Moffitt give you the information you need to make informed decisions and stay in touch with our diverse and vibrant St. Louis region. A local Muslim leader said he received a threatening call that he then reported to the FBI. Who are the refugees in St. Louis? When you hear about refugees in St. Louis, you might first think about the Bosnians who moved here in the 1990’s, or maybe even the most recent arrivals from Syria. But every year, about 600 refugees from all over the world are resettled in St. Louis. So, who are they? Where are they from? Answering where they come from is easy: in the past few years, Somalia, Burma, Iraq and Bhutan have accounted for a significant portion of the refugees. Scroll down to see a chart of where they come from and where they settle. Summer Albarcha is not your typical Saint Louis University college student. She’s worried about balancing her classes and personal life, yes, but for a reason you might not expect. This 20-year-old is a busy fashion blogger who has garnered some level of international attention for her “modest fashion” blogging—which means she covers up, fashionably, while many other fashion bloggers dress down.